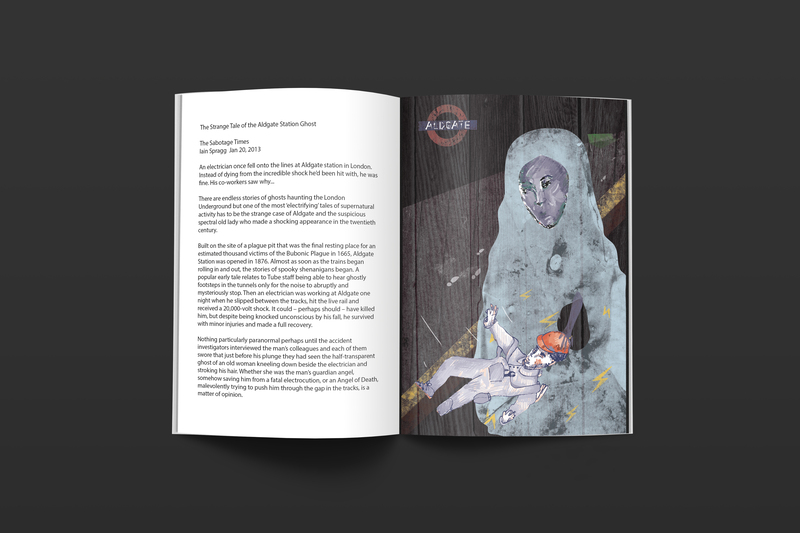 Given The Strange Tale of the Aldgate Ghost written by Iain Spragg in Janunary 20, 2013 for The Sabotage Times, our task asked us to create two editorial illustrations that would go with the story. This editorial had to communicate about what is the story about and I tried to create the effect of cold, dark and spooky mood. To help within the brainstorming process I identified key points of the story about the electrician who in the 20th century fell onto the lines at Aldgate station in London. I wanted to use the combination of drawings, textures, materials and digitally proceed the illustrations to try challenge myself and play around with the story. 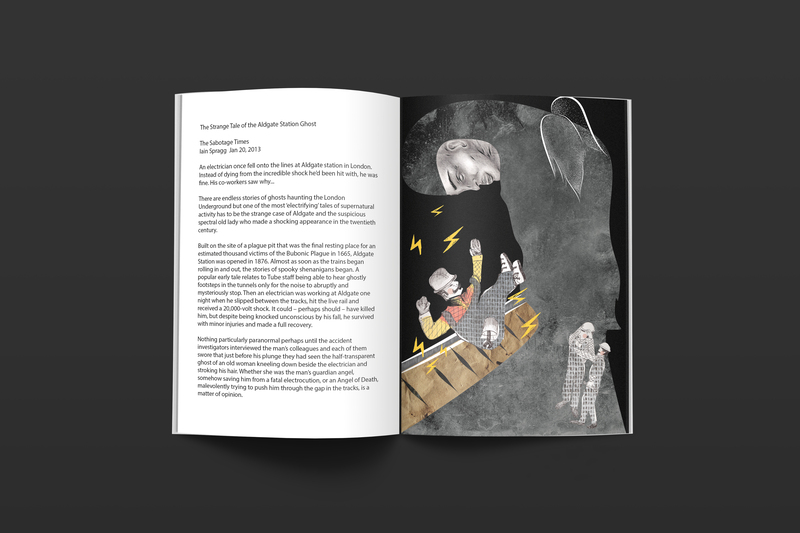 Attention in these editorials is drawn to the main characters (electrician, co-workers and the electrifying ghost lady), Aldgate and the key was to illustrate the fall of the electrician and capture, as the story says, wether the guardian angel or the angel of death.